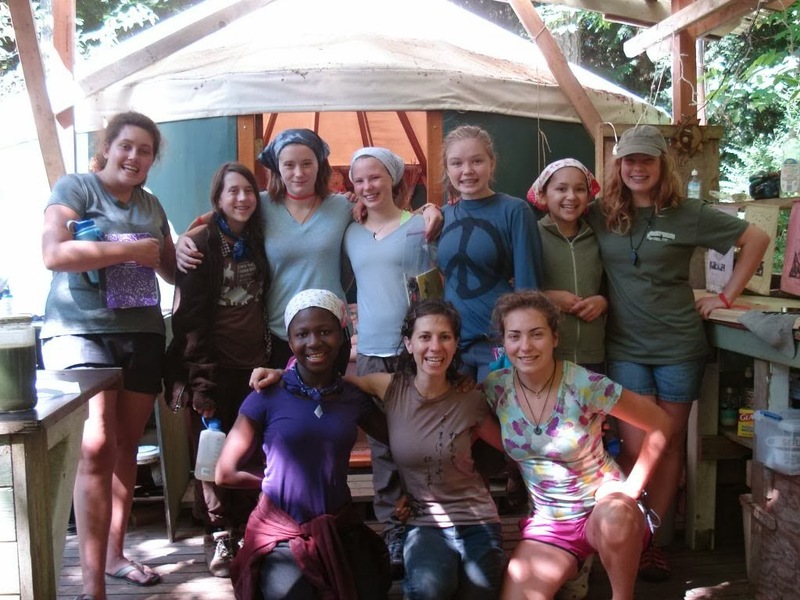 The Coming of Age for Girls trip started off with a tearful song (They are going, they are going, they are going away…) as each girl said goodbye to her family and took her first courageous step into the unknown. With three women as their mentors, the girls loaded into the van, and we were off to Sacred Groves for two days to prepare our hearts and minds for the journey ahead. The girls threaded bead necklaces, reflecting on who they are and who they want to be as young women as they worked. Our first night was marked by each girl saying YES to the journey, and receiving the gift of an animal ally to support her goals for her trip. Some of the allies with us on our trip were Dragonfly, Frog, and Hummingbird. Our second day the elders of Sacred Groves, Tere and Therese, held a sweatlodge for us—in the lodge we swam our way through the sweat, steam, and darkness to dig deep for what it was each girl really wanted out of the trip. At night we practiced fox-walking—walking quietly on the earth—and heightening our senses. 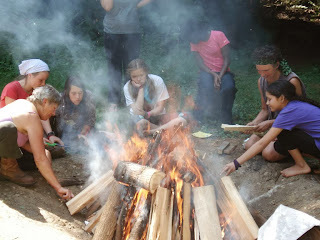 Each night as the girls scrunched down into their sleeping bags, stories and jokes and excitement filled the Moonlodge. 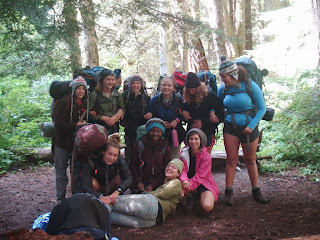 Day 3 we headed out to Dungeness Forks Campground where we were finally camping in the forest! The girls learned and practiced some of the essential skills of camp craft and backcountry survival and performed skits to teach each other Leave No Trace principles. 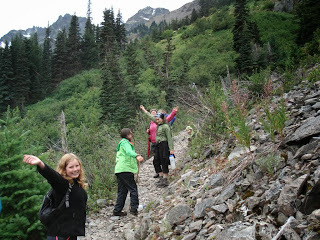 The next day we packed our packs, and headed out onto the trail under a light drizzle. Even in rain, the trail up to Royal Basin is beautiful. Gratitude abounded on our trip for simple things—warm tea, cover from the rain, a warm and dry sleeping bag. 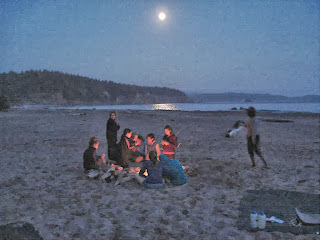 The moon welcomed us to 3rd Beach on our eighth day together, and continued to glow bright even in the afternoons along the beach. We hiked along the beach and up and down rope ladders to avoid high tide zones. 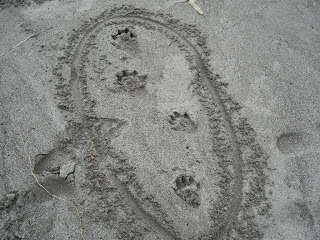 We saw a family of otters, 3 little ones and one big one make a sprint for the ocean, leaving behind perfect tracks to examine. 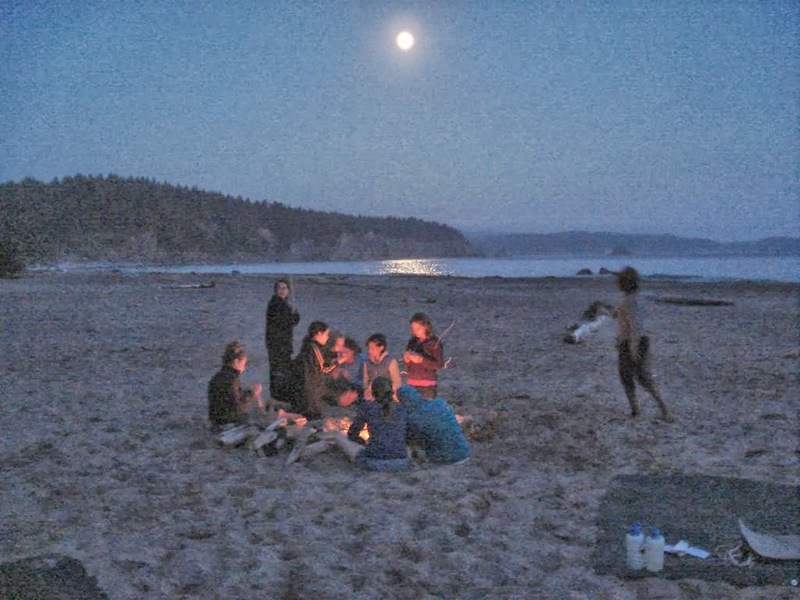 The sun was setting at our backs and the moon rising ahead of us on the afternoon that we arrived at Toleak Point to setup for the girls 24-hour solos—what poetry the cosmos loaned us at the moment that childhood was setting for each girl, and their adolescence was rising! 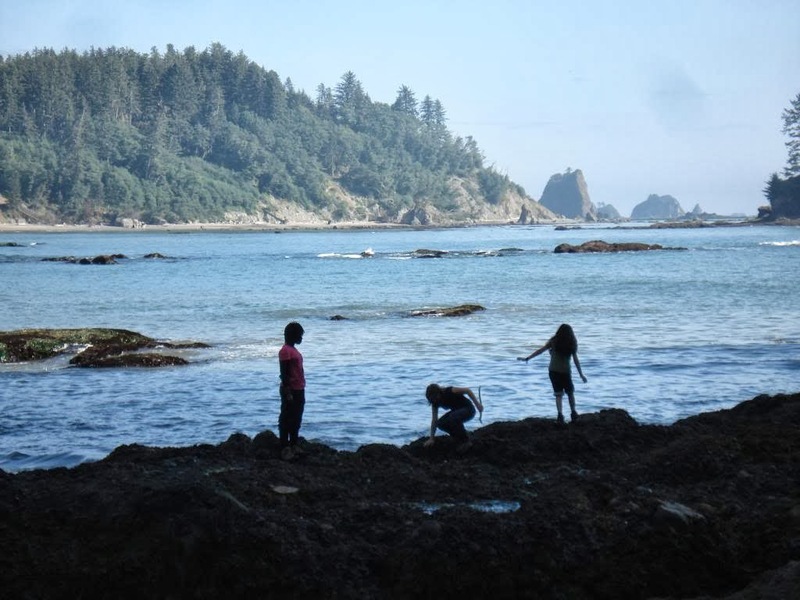 We had a full day to prepare for the girls’ solos, and plenty of time to play in the waves and check out the tidepools. 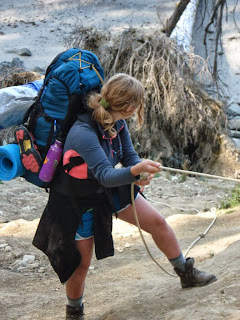 The evening before solos was marked with a ceremony marking the end of childhood, and early the next morning the girls were off to their solo sites, to sink into the heart of the inner journey of the trip. 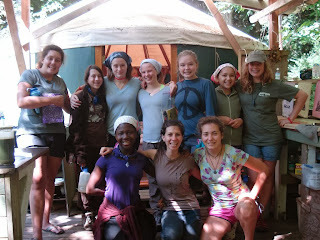 The next day each girl was welcomed back to the central camp as a new person – as a youth. We sat in circle and each young woman shared her story of reflection, dealing with the logistics of maintaining a camp all on her own, what it was like to be alone at night, mustering up the courage and determination to continue the solo despite hunger pangs and physical discomfort. We celebrated their return with food, jewelry making, decorating each other with henna, and hours of relaxation on a perfectly sunny day. On our last full day on the beach, the group took on more leadership and organized their pack out of camp, meals, and camp setup back at Third Beach. We returned to Journeys basecamp to finish up our trip with an Elders Council where elders in the Journeys community heard the young womens’ story of their trip, a big feast, and a last campfire filled with love and appreciation for each youth. Finally, our trip ended with an excited reincorporation of these new youths back into the folds of their families. Sunshine may be mostly gone for the next six months, but the stories that were shared in the August sun at Toleak Point—and the jokes told around the fire, the songs sung, the intentions and dreams for ourselves that we spoke aloud—are still glowing like hot coals in my memory, and will continue to kindle us and whisper reminders of who we are, and who we hope to grow into, long past the winter.